Prolly the most fun part of today is picking out what to wear. After staring at my wardrobe for a few minutes, I found myself combining a sponsored top with a sponsored skirt and a sponsored bag. I might have to do a thanksgiving post this time around and really extend my gratitude to my amazing sponsors! Having shopped and gifted so many clothes, I recently lust for shoes and bags. I have grown to believe that quality is key when it comes to shoes and bags, thus the picky attitude, thus the problem of finding the perfect pair or piece. Whilst two pairs of heart-thumping shoes have been purchased last week, I have not been as lucky with bags... until I checked my inbox and came across a mail from House of Fraser! What a girl needs these days is a one stop shopping site where every single items are guaranteed of their quality and every single customer is valued. House of Fraser offers hundreds of items from any category you can think of; Womens Clothing, Mens Clothing, Kids Clothing, even Furniture and Electricals. The designer handbags section is by far the most conveniently pleasing. Imagine saving so much time from the vain store-to-store hunting... oh how do you like my 8 picks from the first page alone? Boy it's hard to decide which one to get! 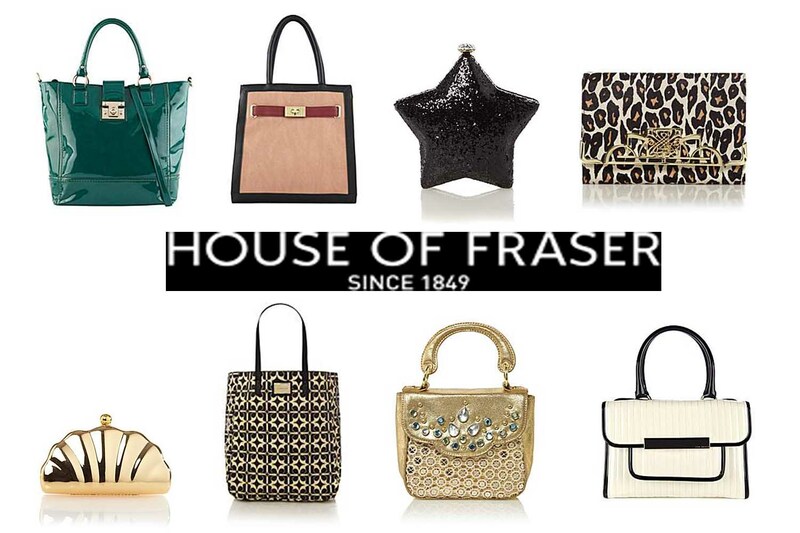 View more designer bags like these from House of Fraser. Such a lovely lovely look, and your hair is perfect! I do love your outfit , perfect combination of top and the long skirt !! very nice look! I love color of your skirt! Loove the top! You look cute in it ! 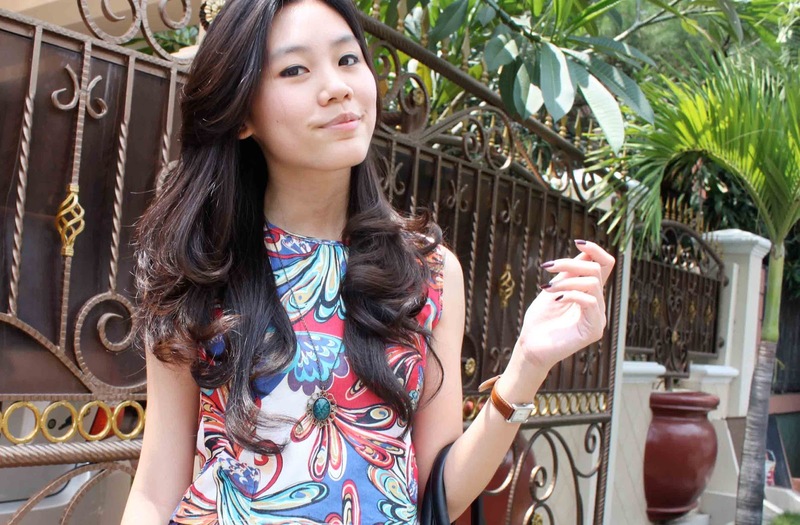 You look great <3 I love the print top! love this outfit, the colors are really amazing! Okay I love that skirt on you! You definitely pull it off and that color looks great on you! I love your hair Wynne! Pretty!! i like your top :D pretty! So nice! I'm looking forward for your next giveaway! Oh, love your top Wynne. You know, I've translated the brownie recipe to english for those of you who wanted to try it, hope you come and try it, it's easy and yummy. Really like your top cii! The pattern is amazing! Amazing outfit, love it! So full of color! This is so so SO cute – love the cropped top with the skirt and sandals! Oh wow I wish it was summer here so I can wear a cool outfit like yours! you look stunning + i love this outfit. this is more than perfect !!!!! We love the skirt have a wonderful style. Love the flow to your skirt! And the black sparkly star clutch is adorable! Aw! that is absolutely a perfect outfit dear! I love this whole outfit so much! The top and skirt are both gorgeous! Great outfit1 the skirt is so lovely i love the mix of the colors it´s so bohemian but beautiful. Simply beautiful! I love the pattern top! LOVELY! I would love to follow each other! Thank you for asking :) I follow you now and wait for you! i would like to be your friends..
how beautiful kak Wynne! Love your cropped top so much. Lovely outfit, the skirt is so pretty! Nice thanks for sharing! Love the outfit. i love the skirt you are wearing here! such a lovely color too! Lovely outfit, the colors are beautiful! Lovely colors, it would be mood booster for sunny day! I would like to check the bags out :), thanks. Wow, you're so gorgeous and so is your outfit! ^_^ Thanks for visiting my blog hope you drop by again! And also, do you want to follow each other? I'd be okay with you being my personal stylist. Once again, gorgeous! I'm gone to tell my little brother, that he should also visit this web site on regular basis to take updated from most recent reports.